Trading outside regular market hours carries unique risks. Stocks can be bought or sold 24 hours a day on secondary exchanges called electronic communications networks. While being able to trade shares at any time may be convenient, investors must carefully navigate the potentially risky waters of after-hours trading. The price you pay and whether you will be able to buy the stock you want on an ECN depends on several factors. 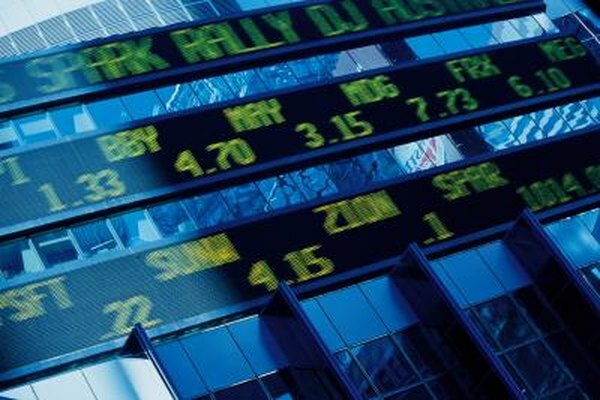 U.S. stock markets such as the New York Stock Exchange and NASDAQ are open from 9:30 a.m. to 4 p.m. EST. Any trading that takes place outside these hours is broadly known as after-hours trading and is done on the ECN mini exchanges. While the Securities and Exchange Commission oversees these exchanges to ensure fair practices, fewer investors buy and sell stocks after hours. Large institutional investors such as pension funds and insurance companies complete most of their trades during regular hours. In finance, "liquidity" refers to the ease with which you can buy and sell something. Liquid securities can be bought and sold easily and quickly with minimal trading costs. Other securities take longer to trade, and you pay higher costs. One way to measure liquidity is the "bid-ask" spread. "Bid" is the price at which the most motivated buyer is willing to buy, while "ask" is the level at which the most willing seller will sell. If a stock's bid-ask spread is "$9.2-$9.3," you can sell it immediately at $9.2 but must pay $9.3 to buy it. Generally, the more buyers and sellers are actively trading a stock, the narrower the spread will be. Because spreads tend to be wider during after-hours trading, you are likely to pay more for shares than during regular hours. If you see a wide spread and believe it will narrow, you could watch the ECNs until the next morning and possibly score a better deal. You can use two basic types of stock orders when buying shares. A market order tells your broker to purchase at the best possible price, whatever that price may be. A limit order specifies the most you are willing to pay. If the broker can't find shares at or below that price, you won't be able to buy them. It is wise to use limit orders during after-hours trading. The price at which you see a willing seller offering stock may change within seconds, so you may end up paying significantly more if you use a market order.